The family of a man who died after being hit by a car while he was lying in a road said "life has played one of the cruellest tricks imaginable". 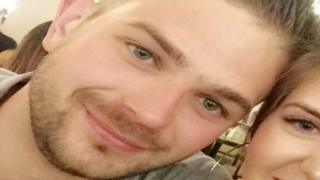 Andrew Cheffins, 23, was pronounced dead at the scene in Braintree Road, near Halstead, Essex, at about 02:30 BST on Sunday. Police forensically examined a Volkswagen Up car on the road, which was closed for nearly eight hours. Mr Cheffins' sister said he was "literally one in a million". Police said enquiries were ongoing and appealed for those with information about Mr Cheffins' movements on Saturday night and Sunday morning. His sister, Madelynn Cheffins, said: "We have lost our beloved son, brother, grandson, nephew, cousin and friend in a tragic accident. "Andrew was a beautiful, kind-hearted, gentle soul who would do anything for his family and friends. "Andrew was truly unique, literally one in a million, with some weird, yet wonderful ways but we wouldn't have wanted him any other way."